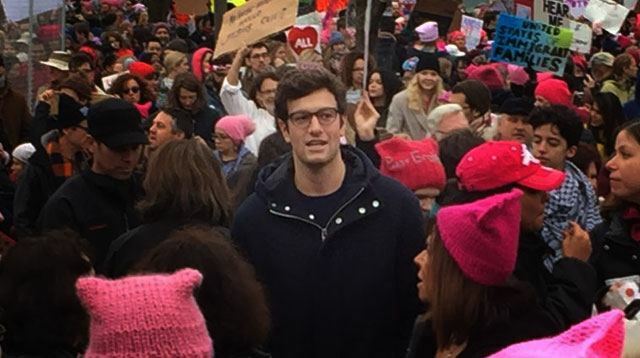 Josh Kushner Women's March In D.C.
Josh Kushner, the younger brother of Trump’s senior White House adviser and son-in-law Jared Kushner, was spotted at Saturday's Women’s March on Washington, D.C. Although Josh is a lifelong registered Democrat, he evidently wasn't at the march as a participant. Or so he says. The Washingtonian reported that he told other marchers he was there "observing."